JJCC are a seven-member male group that debuted in 2014. They were created and are currently managed by legendary martial artist and Hollywood actor Jackie Chan. They reside under his label ‘Jackie Chan Group Korea’. The members are: E.co, Prince Mak, Eddy, SimBa, Sancheong, Zica and Yul. 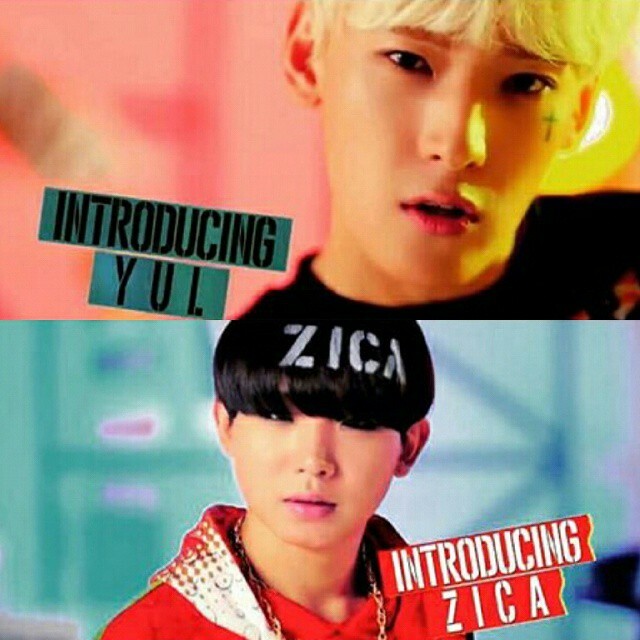 The group originally debuted with the first five members, with Zica and Yul joining prior to their ‘Where you At’ promotions just this year. The group’s name (which can be pronounced J-J-C-C, or referred to as ‘Double JC’) represents both their creator and their ethos as a group. One of the JCs represents Jackie Chan’s initials, whilst the other stands for ‘Join Cultures’ In keeping with this global outlook, the members are able to communicate in Korean, Chinese and English, in no doubt aided by the fact that Prince Mak is of Chinese-Australian background. JJCC pride themselves on their hip hop and R&B foundation, but as with most K-Pop groups, they have also branched out into different styles, from the moody and rough beginning of ‘At First’ to an altogether more upbeat and pop-like sound of ‘Where you At’. So far they have released two mini albums – ‘JJCC First Mini Album’ and ‘Ack Mong’ respectively. The members have all made a few appearances on variety programmes in Korea, with Eddy first coming into the spotlight in ‘MasterChef Korea’ back in 2012. He was known on the programme as ‘Cooking Rapper’ and found his love of cooking through his parent’s restaurant in the USA where he was born. The members have also all made various appearances on episodes of ‘After School Club’ and ‘Let’s Go Dream Team!’. The group’s association with Jackie Chan might be seen as both a blessing and a burden, as the link managed to whip up a lot of frenzy and expectation around the group but also arguably makes it hard for the members to be seen for their own merits. In one interview with an Australian media outlet they spoke of feeling the immense pressure to live up to Jackie Chan’s name, and not feeling as though they have done well enough, when even in reality, they had been quite successful. It will be interesting to see what the future holds for this group, they arguably have the talent and knowledge to go far in this competitive industry and have had a very solid start nonetheless. Are you a JJCC fan?